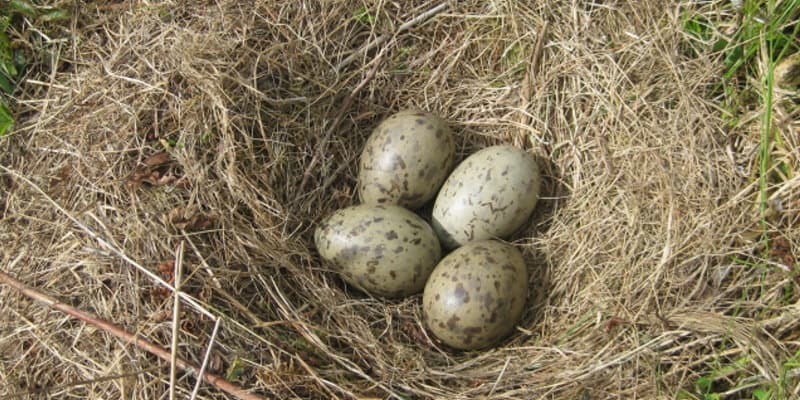 Gull egg replacement is a highly effective way of managing pest bird populations in the long term, while also keeping gulls calmer and less aggressive in the short term. By humanely and naturally reducing the number of gulls in an area, Pest Solutions can help you to fight back against these common urban pests. Gulls are one of the small proportion of animals that mate for life. Despite this, they can still reproduce remarkably quickly- hence why they are such a large problem in urban areas. A single pair of gulls can easily raise around 30 chicks over the space of a decade, and those chicks reach maturity within three years or so. Conceivable, just two gulls could therefore create a population of more than 100 during that ten-year period. To have any hope of dealing with the issue of gull infestations, then, something needs to be done to break this cycle- and that’s where gull egg replacement comes into play. Gull egg replacement is a highly effective, humane method of population control. Instead of allowing the gulls to breed unchecked and cause untold havoc, our pest bird control technicians replace the existing eggs in a nest with dummy, or ersatz eggs. The gulls can’t tell the difference between these ersatz eggs and the real thing, and will therefore continue to incubate them throughout the nesting season. After a time, the gulls will give up on the nest completely and move on somewhere else. Not only does this stop them from being a nuisance around your property, but it also causes the overall seagull population to decline, too. It is much easier to replace real eggs with these ersatz eggs than to use the main alternative, which is treating existing eggs with a special sterilizing oil. All our professional pest controllers have to do is go up to the nest when the mother gull is away and swap out the eggs for dummies. They are experts in dealing with all manner of pest species, so can easily get the job done for you. Our visits are timed to match up with when the gulls are laying their eggs to ensure we can get them all. Then, at the end of the nesting season, we will return to clear away all the remaining nest debris so you won’t even know that any birds have been up there. Pest Solutions offers a fully comprehensive pest control service, too, so if there are any additional methods that need to be used, you can count on us to eliminate the pests in question successfully. Not only is gull egg replacement an effective way of preventing future pest bird infestations, but it also works wonders for the current issue in the short-term, too. One of the most common complaints we hear about gulls from members of the public at Pest Solutions is that the birds are becoming aggressive and attacking people. This is most common when gulls are guarding nests full of live chicks. Because they have poor depth perception, they will view people on the ground as an immediate threat. To the gulls, those humans appear to be just a couple of metres away from their nest and they will therefore strike out to keep their chicks safe. However, their behaviour is dramatically different when they are incubating a clutch of eggs. During this time, it is important that the gulls remain in the nest, both to keep the eggs warm and to stop them from being poached by any nearby predators. Gulls therefore tend to be much quieter and less aggressive where eggs are concerned- meaning it’s in your best interests to keep them in this state for as long as possible. The ersatz eggs that we use are made with a special porcelain coating so that they look and feel just like the real thing. It usually takes gulls around 60 days- double the typical incubation period- to give up on these ersatz eggs. Stop Gulls in Their Tracks- Call Pest Solutions Today! As you can see, gull egg replacement is an incredibly effective, yet relatively simple way of keeping a gull infestation in check. Slowly and humanely, the overall gull population is reduced, and in the meantime, the gulls pose less of a risk to members of the public in the area nearby. As pest bird control experts, you can count on us to deal with any issues you might be having with gulls or other species of pest birds. For all aspects of gull control and gull egg replacement, be sure to contact Pest Solutions today on 0800 027 2555 to arrange a FREE survey or a service call out. Don’t let gulls take over your premises- instead, it’s time to do something about them, and gull egg replacement could well be the answer you have been looking for.